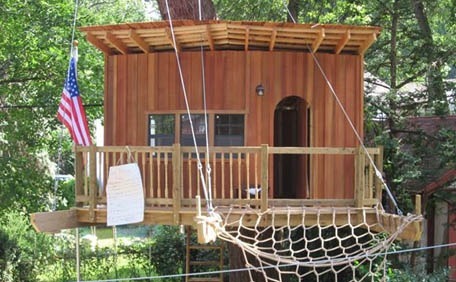 Our portfolio has 4 types of treehouse projects. 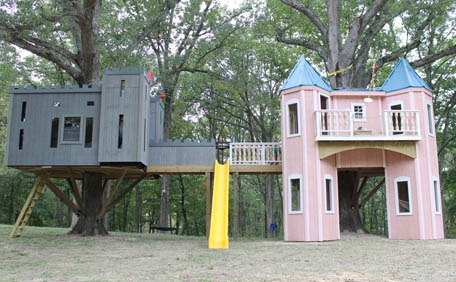 Click on the images to see examples of each type of treehouse we build. Our high quality take on the classic all-American backyard treehouse. These projects generally cost $8,000 – $30,000 in our area (Chester County, Pennsylvania). High end residential treehouses have more complex designs, use premium materials, are more finished looking inside & out, and may have multiple platforms and levels. Typical construction cost ranges from $30,000 – $90,000. For luxury accommodations or tiny home living, these treehouses are larger, have bathrooms and kitchens, and are often booked solid 6-9 months in advance. Each unit typically costs $60,000 – $160,000 with economies of scale for multiple projects commissioned at one time. 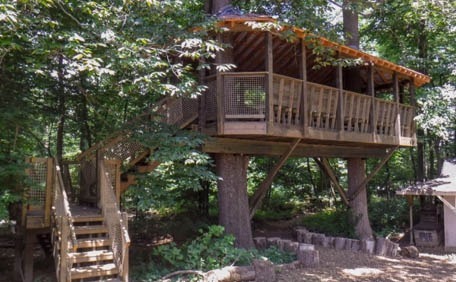 Commercial use treehouses are designed to maximize participant interaction, traffic flow, and minimize maintenance. Normal design & construction costs range from $50,000 – $750,000.